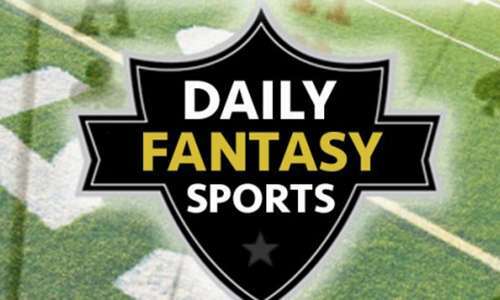 Mainstream media scrutiny continues raining down atop the budding daily fantasy sports (DFS) scandal over the past 24 hours, fueled by increasing speculation that a content manager for industry co-leader DraftKings may have used players-drafted percentage reports to assemble one or more lineups on rival DFS site FanKings. Shortly after accidentally pre-publishing such a report based on DraftKings’ own largest NFL Week 3 event, the heavily advertised “Millionaire Maker,” DK’s written content manager, Ethan Haskell, found himself as a $350,000 winner in a similar event on rival site FanDuel, using a lineup comprised almost entirely of underdrafted players when based on how frequently they were selected by other DFS owners. Though the use of what would be the equivalent of “insider trading” knowledge has yet to be proven (despite pieces such as this one that claim it as fact), the accusations against Haskell have now spread far and wide, including in major US mainstream media outlets. Further evidence has emerged showing Haskell posting an incredibly successful run of results on both football- and baseball-based DFS contests over the last several months, making such a post-contest evaluation of Haskell’s lineups over that period a virtual fait accompli. Someone’s going to do the analysis, and then we’ll know for sure. Nonetheless, the sudden crush of bad press for the US’s fledgling DFS industry likely couldn’t come at a worse moment. Within the last 24 hours, there have been renewed calls for Congress to move forward with an official look into the largely unregulated DFS industry. Gambling writer David Payne Purdum, a contributor to ESPN and other major sites, Tweeted this morning that the US Congress’s House Energy & Commerce Committe is likely to go ahead with a call by committee member Rep. Frank Pallone (D-NJ) to examine both the possible current scandal and the industry as a whole. That comes in addition to a whole bunch of screaming bad press about the Haskell situation in mainstream outlets, from NY Times features and editorials to CNN running the story as part of its scrolling, bottom-of-screen news ticker, to the sight of ESPN reporting on this story online amid a graphical frame featuring — you guessed it — DraftKings ads. It’s that crush of mainstream sports advertising and the attention and responsibility that comes with it that may have many of these major industry backers now rethinking their nine-digit investments into sites such as DraftKings and FanDuel. Not only have major sports-media networks such as ESPN and FOXSports dived in with secondary backing, the US’s major sports leagues and teams themselves have inked numerous deals with major DFS sites. Expect a harsh spotlight to be focused upon all this in a big, big hurry. By mid-day Monday, DraftKings and FanDuel had both issued statements in which the companies pledged to uphold the integrity of the contests they offer. While there has been recent attention on industry employees playing on FanDuel and DraftKings, nothing is more important to DraftKings and FanDuel than the integrity of the games we offer to our customers. Both companies have strong policies in place to ensure that employees do not misuse any information at their disposal and strictly limit access to company data to only those employees who require it to do their jobs. Employees with access to this data are rigorously monitored by internal fraud control teams, and we have no evidence that anyone has misused it. However, we continue to review our internal controls to ensure they are as strong as they can be. We also plan to work with the entire fantasy sports industry on this specific issue so that fans everywhere can continue to enjoy and trust the games they love. Nothing is more important to DraftKings and FanDuel than the integrity of the games we offer to our customers. Both companies have strong policies in place to ensure that employees do not misuse any information at their disposal and strictly limit access to company data to only those employees who require it to do their jobs. Employees with access to this data are rigorously monitored by internal fraud control teams, and we have no evidence that anyone has misused it. Both statements, however, utterly avoid the specifics of the situation, referring to whether important company insiders have privileged access to data in a timeframe that could have allowed them to construct DFS lineups that were likely to be profitable based on information other than the players performance stats and other game factors themselves. No accusations have been made regarding Boccio, and in fact FanDuel has already issued a statement exonerating him, but Boccio, Haskell and other employees of the two companies won’t be able to keep on with their own DFS success, as the two companies have also issued a joint statement banning their own employees from participating in DFS contests on competing sites. All this is nice to see, of course, though it may be too late. A threatened regulatory spotlight looms for the industry, and it’s probably a good thing, when large amounts of money are at stake. If the online poker world’s own struggles have taught us anything, it’s that insiders don’t always act in the best long-term interests of their own companies, up to and including willful cheating. Whether that’s occurred in this recent DFS instance remains to be seen, and even if “cheating” has occurred, it may or may not be “illegal” behavior. It is however, sure to be an industry-changing moment for daily fantasy sports.